Extraordinary Investment Opportunity! 13 Acre parcel with 4 CBS Block Buildings and a large pool! Only $19.93/SQ Ft! Great Potential For A Variety Of Uses! (Distribution Center, Business, Family Compound, Venue, Church, etc). Formerly Used As A Retreat. Wood Burning Fireplaces! Horses And Farm Animals Welcome! Lots Of Wildlife! Buildings Need Extensive Work. Price Reflects This. A Worth While Project! All Reasonable Offers Will Be Considered! 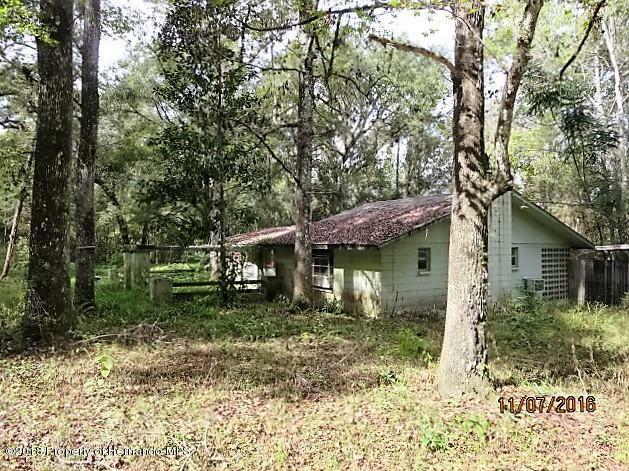 Great location near Interstate 75. Short distance from the beaches, Orlando, Tampa, St. Petersburg-Clearwater International Airports and the Brooksville-Tampa Bay Regional Airport.